The German Academy for Renewable Energy and Environmental Technology offers this Biogas Plants course in cooperation with the Fraunhofer Institute for Wind Energy and Energy System Technology (IWES). 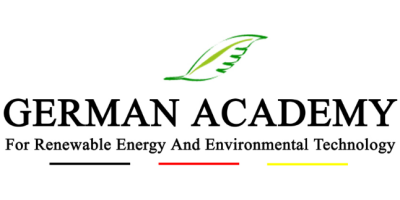 The training facilities used by the German Academy, are some of the most up to date facilities in the Renewable Energy sector today with a high level of learning intensity and efficiency. This a valuable Biogas Plants course will consist of a theoretical aspect which includes lectures, presentations, and exercises mixed with a practical aspect where participants will have the chance to take part in a sight tour of a German biogas plant. These activities provide participants the opportunity to discuss their topics of interest with experts, producers, and potential business partners. Fraunhofer Institute for Wind Energy and Energy System Technology IWES is one of the largest and well known German research institutes for renewable energies, especially wind energy. The research activities of Fraunhofer IWES cover wind energy and the integration of renewable energy into supply structures. Fraunhofer IWES was established in 2009 as a merger of the former Fraunhofer Center for Wind Energy and Maritime Engineering CWMT in Bremerhaven and the Institute for Solar Energy Technology ISET in Kassel. In its both offices in Kassel and Bremerhaven Fraunhofer IWES has a staff of 500 scientists, engineers, non-technical staff, and students. German Academy’s classroom at Fraunhofer IWES, in Kassel, Germany. Engineers, technicians, biologists, professional, decision makers, experts, academic scholars, scientists; students from engineering, biology, and related fields, organic farmers and their representatives, biogas consultants and associations, green energy companies and interested consumers, Government Agencies, NGOs, industry newcomers and practitioners of manufacturers, suppliers, Personnel and operators of biogas facilities, developers and investors in the renewable energy sector with basic knowledge relating to one of the following fields: physics, chemistry, biology, or engineering. A certificate of participation will be handed out upon completion, to participants who have attended at least 90% of the Biogas Plants course. For registration, please fill out the attached form and send it along with your updated CV to the address located under the Registration and Contact Information section. Please specify that you wish to join our Biogas Plants course, 16-21 February 2015. Within a few days you will know if your application has been accepted. For Non-EU participants who need a visa to enter Germany: 25.09.2014. For EU participants or participants who have a visa to enter Germany: 25.09.2014. No reviews were found for Biogas Plant Training Course: Biogas Plants 16-20 February 2015 - Kassel (Germany). Be the first to review!